International Grenache Day came and went in its glory. I love the variety but clearly not all are. I received a tweet which described the variety, "...start with raspberry cordial as it would prepare your palate for what was to follow." Clearly not a Grenache fan. You just gotta know how to find the good stuff and here, front and centre, is a cracking wine. The furthermost thing from raspberry cordial and boiled lollies, the savoury characters which sit atop the shoulders of beautiful fruit are adorable. I've had a few chats with winemaker Marco Cirillo of late, and its clear that he's not a hipster and is more than comfortable plying his trade old school style. 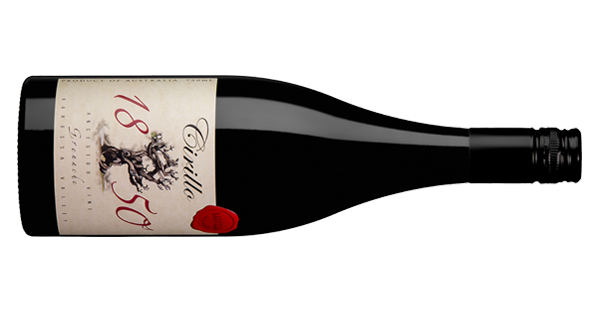 From the oldest Grenache vines on the planet, this sees 24 months in seasoned oak. This is a wine you could sit on and ponder for some time. So expressive aromatically, each whiff brings a new prize. Think meat board, char, delicate red fruits, soft pepper, thyme and faint hints of mint. The mouth is filled with ease and that savoury appeal prominent on the nose kicks on beautifully to the mouth. Delicate and super smooth, you get a sense it laps at your feet effortlessly. Fine tannins stick and linger long urging another sip, and for that, I may just do so. And then again.